I haven't come up with one Valentine's Day idea yet! Let's hope the ideas start flowing soon! Linking with Funky Junk Interiors Best of 2013! Those strike plate crosses are genius Carlene! I'm thinking about Valentine's day too! I also love the cross door plates! Love all your holiday posts! I have one idea so far for Valentine's day. Won't be long now!! Happy New Year! Love the recap Carlene! Oh girl, I know you will have clever ideas pouring in soon. I am going to make a garland out of cloth doilies. I saw one in an old Victoria magazine and thought it would be fun. Also, I have been picking up old ornaments at thrifts so I think I'll make a heart ornament wreath. Have wanted a Christmas one but still need more ornies for that. 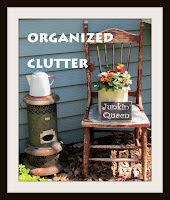 Always love your use of vintage items in your vignettes! Just wanted to stop by and thank you for inspiring me in 2013, I can't wait to see more! I'm still packing away Christmas stuff, and my house looks like we've moved out! Bare bones. I love all your vintage holiday items, Carlene, and I Pinned your wood American flag to remind me that I want to make a few before summer rolls around. 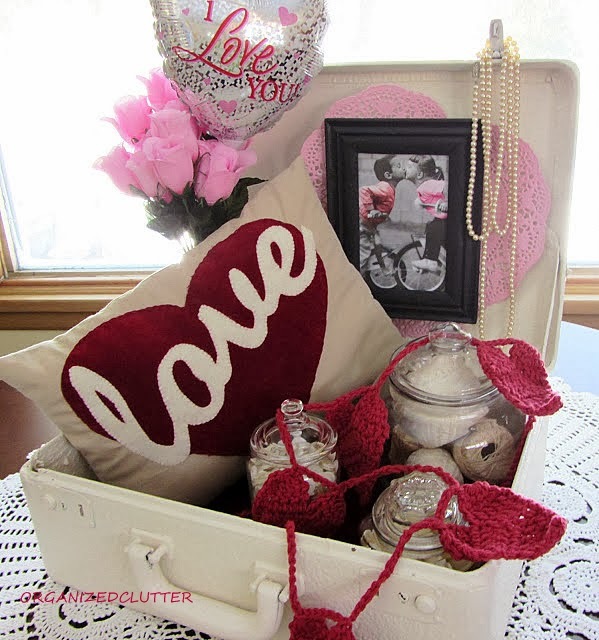 I loved seeing your decor - especially the valentine's love! It gave me a few ideas for this year!